Zenful Expressions | CVS Shopping Trip – Lots of free goodies! CVS 9/13/14: I spent $21.89 on this that retails for $89.44. I saved $67.54 / 80% - I also received $7 ECB to spend next trip making this a even better trip. 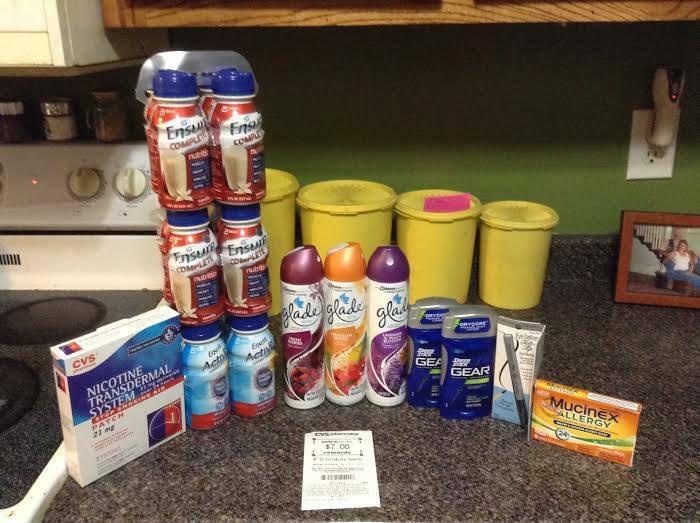 CVS Shopping Trip – Lots of free goodies! 13 Sep CVS Shopping Trip – Lots of free goodies! CVS 9/13/14: I spent $21.89 on this that retails for $89.44. I saved $67.54 / 80% – I also received $7 ECB to spend next trip making this a even better trip. CVS Coupon Shopping Trip 10/12/14 – FREE CANDY! Bilo Shopping Trip – The one with all the meat deals!